While operating as a bail bondsman in Oklahoma, Laurie Poole has become familiar with what we call “DUI Checkpoints”, “Sobriety Checkpoints”, or sometimes “DUI Roadblocks”. The basics of a DUI checkpoint generally involve police officers stopping drivers using various patterns or sequences. For example, the officers could choose to stop every other car or they could choose to stop every fifth car. During the stop, the officers will verify that the driver is not intoxicated by checking for signs of alcohol and/or drug alterations. Now, the biggest thing to keep in mind while experiencing these DUI checkpoints is that – while officers do not need probable cause to stop a vehicle – you do still have rights. Despite the invasion of privacy that is offered at these checkpoints, the officers are still under strict guidelines and must obey any and all requirements. As for Oklahoma, DUI checkpoints are legal but they are also nothing to be concerned about (provided you are sober). As a bail bondsman in OKC, Laurie is constantly sharing advice on how to handle yourself if you are stopped at a DUI checkpoint. To begin, you will want to be on your best behavior. This is the officer’s job. Most of the time, they will treat the stop as a friendly “hello”. If you imagine the stop as a simple conversation with a friend, it is easier to not get consumed by the fact that you are talking to an officer of the law. Law officials can be intimidating. No one blames you for feeling overwhelmed at the idea of dealing with them. In fact, sometimes those nerves can cause you to appear inebriated when you really are not. If you are sober but you are not waved on, you might find yourself getting ready to do a field sobriety test. The best thing to do in a situation like that is to remain calm and take deep breaths. As long as you are not actually intoxicated, you cannot get into trouble. Most officers are understanding of nerves and will try to make the situation into a laughing matter themselves. If you happen to get an officer that treats you with disrespect or breaks any specific DUI checkpoint guidelines, do not be afraid to report him after your experience. Maybe the report will not do anything. Maybe it will. The only way to find out is to try. One thing that Laurie has noticed: her Oklahoma bail bond clients seem to forget – or not know in the first place – that they are perfectly within their rights to turn around and take an alternate route home that does not involve a DUI checkpoint. Legally, turning around to avoid a DUI checkpoint is not probable cause to pull you over. If you are prone to anxiety and nerves, you might be better off finding an alternate route. For future situations, you can keep the alternate route in mind. 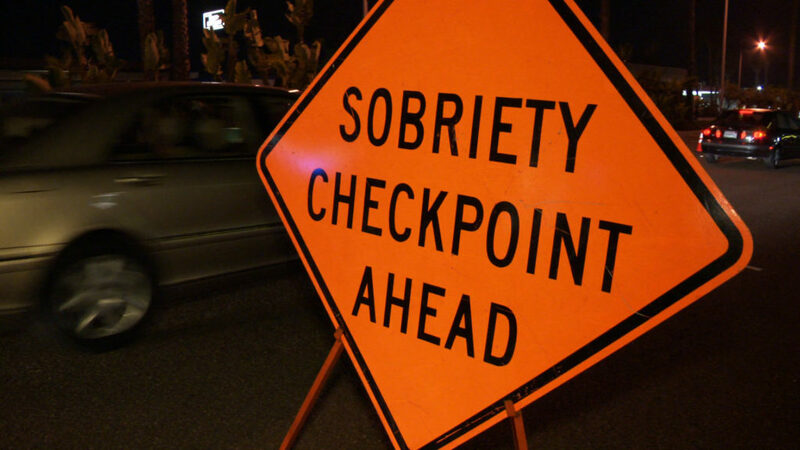 Sometimes it is easier and quicker to avoid a DUI checkpoint than it is to go through it. Regardless, DUI checkpoints are nothing to be concerned over . . . and remember: you always have rights. If you are in need of bail bonds services, call Asset Bail Bonds OKC at (405) 709-1600.